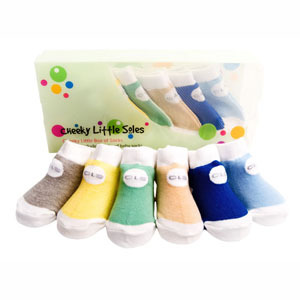 Each Cheeky Little Box of Socks contains 6 pairs of anklet baby socks, designed to compliment the Cheeky Little Soles footwear range. Cheeky Little Socks come in crisp, colourful designs, with a different colour palate available for baby boys and baby girls. 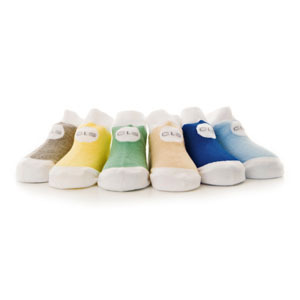 Baby boy sock colours include grey, yellow, green, beige, dark blue and light blue. * infant socks that actually stay on!